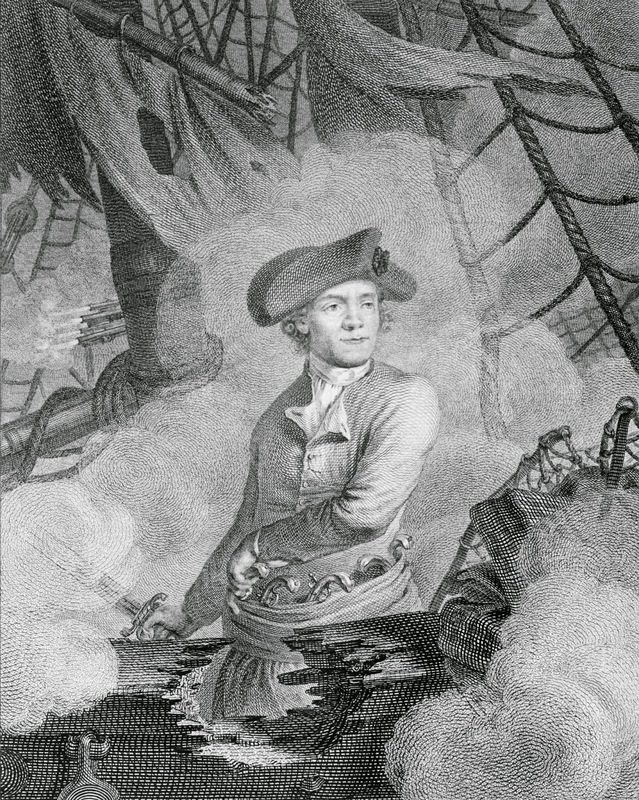 "John Paul Jones, commodore au service des Etats-Unis de l'Amérique," engraved by Carl Gutenberg from a drawing by C.J. 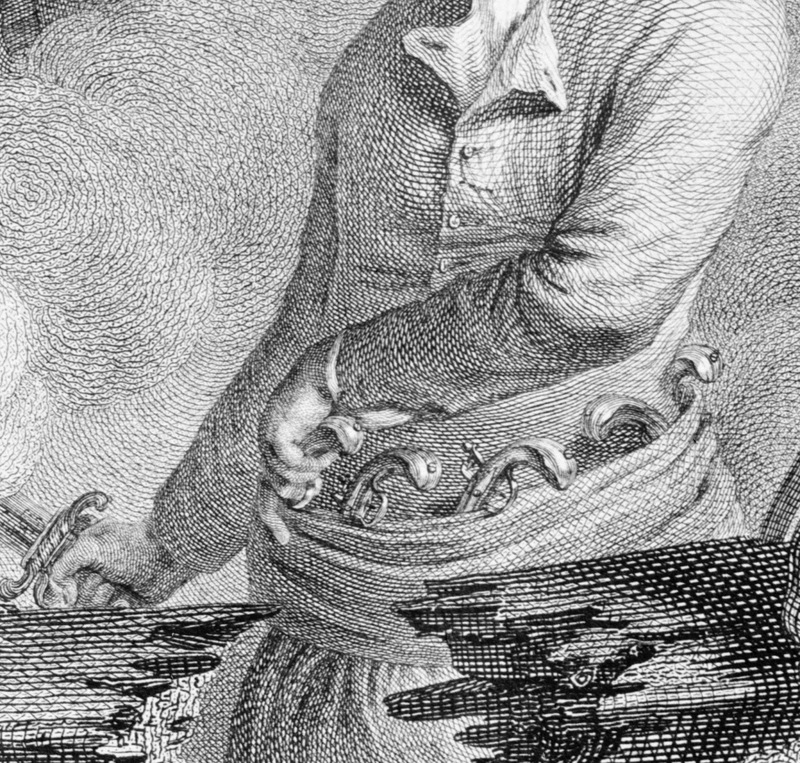 Notté, c.1779, Wikimedia Commons retouched detail from Library of Congress original. I started this week with Jones in a dashing (non-regulation) dress uniform following the Battle of Flamborough Head. Notté chose to show Jones in the thick of the fight. His face is cool and determined while he calmly reaches for a pistol, all while the Bonhomme Richard disintegrates around him. Not even the rattle of his marines' musketry a feet away startles Jones. Jones hair is loose and short, hanging in curls that barely reach his neck. His hat is untrimmed and wide, worn in the French style. 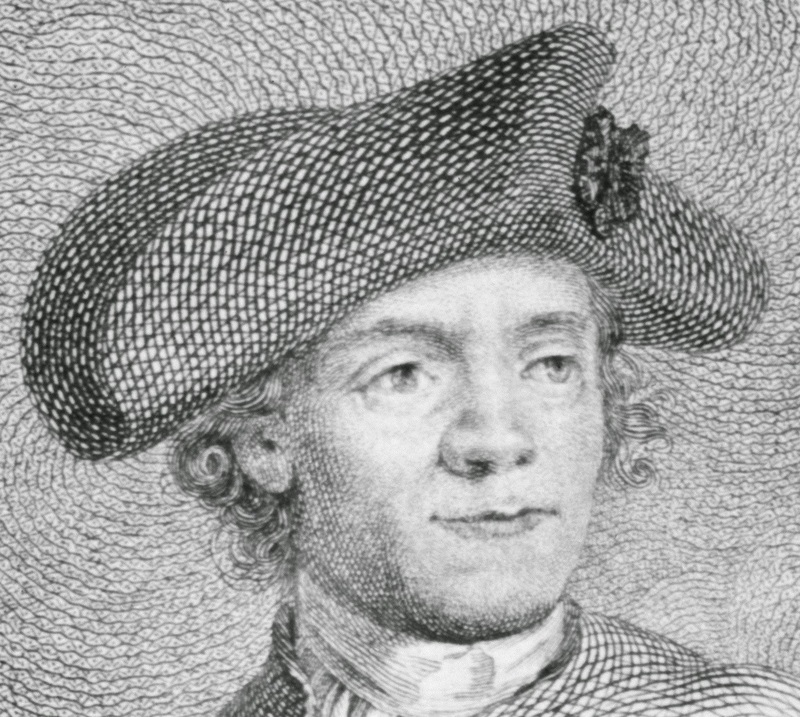 A large silk cockade is affixed to the left side, just as the point of his hat is over the left eye. A white cravat is carefully tied around his neck. Jones' jacket is single breasted with lapel flaps open at the top. His jacket has simple mariners' cuffs, and lacks any of the trappings of Jones' fancier uniforms. At his waist is a row of pistols tucked into the waistband of his slops/petticoat trousers. Without the epaulets or gold lace he was so fond of, Jones would be ready to rumble in a set of slop clothes like these! Thank you for joining me in my journey through the uniforms of the Continental Navy. There are more images out there. Charles Willson Peale painted portraits of captains Nicholas Biddle and Joshua Barney in their Continental Navy uniforms, for example. I encourage you to make this a study yourself, and dig up what you can on this fascinating and short lived organization.